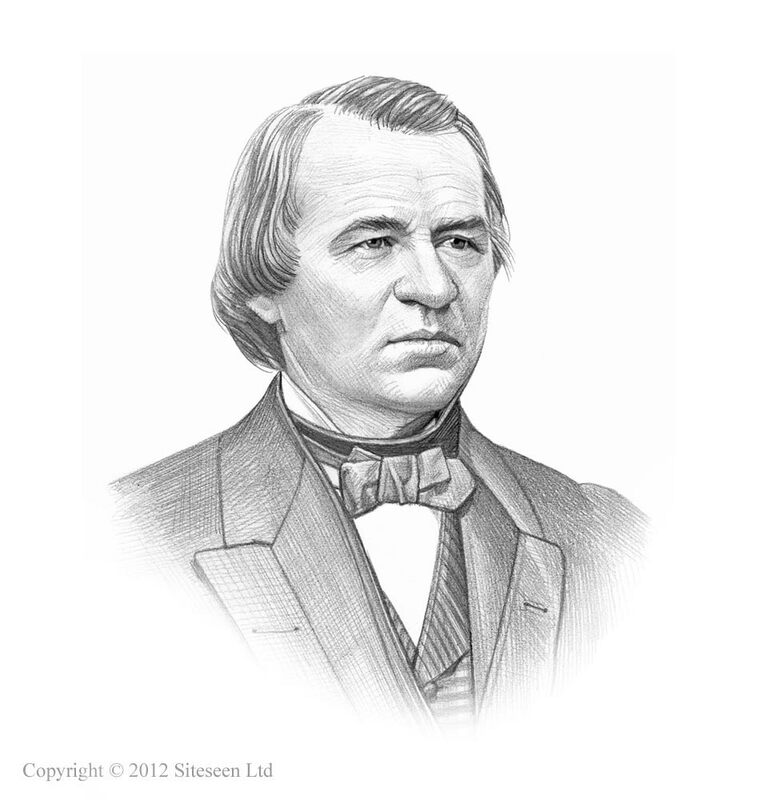 Reconstruction Acts: Andrew Johnson was the 17th American President who served in office from April 15, 1865 to March 4, 1869. One of the important events during his presidency was the Reconstruction Act. Summary and definition: The Reconstruction Act was the name given to a series of four laws or statutes passed by Congress in 1867 and 1868 that overrode the presidential veto of Andrew Johnson. The Reconstruction Act series of laws were passed by the Radical Republicans in Congress who had almost complete control over the policies made in government in relation to the Reconstruction of the South following the Civil War. The series of laws are also referred to as the Military Reconstruction Act. The Radical Republicans had gained sufficient power to override any vetoes by President Johnson and this period of history is often referred to as Congressional Reconstruction. Following the assassination of President Lincoln in April 1865, Vice President Andrew Johnson, a Southern Democrat, assumed the Presidency. Johnson adopts the Lincoln Reconstruction plans but is criticized by the Radical Republicans in Congress for being too lenient on the South. The Southern states attempt to restore self-rule and pass the notorious Black Codes in 1865 -1866 and are reluctant to ratify the 13th Amendment. President Johnson infuriates Congress by vetoing an extension to the Freedmen's Bureau and the majority Republicans respond by passing the Civil Rights Act of 1866 and by the fall of 1866 gain a two-thirds margin in the Congressional elections and have the power to pass the Reconstruction Act with its Series of Laws and Statutes, which becomes known as the Military Reconstruction Act. The purpose of the Reconstruction Act statutes was to determine the terms to be fulfilled for the former Confederate States of America to be re-admitted to the Union. What were the Main Features of the Reconstruction Act? Military courts can be used to try cases involving civil and property rights violations, as well as criminal trials. States must ratify the 14th Amendment in order to be represented in Congress. Reaction to the First Reconstruction Act: President Andrew Johnson vetoes the bill, but Congress is powerful enough to override the veto. However, the Southern states refuse to carry out the law with the exception of Tennessee. Reaction to the Second Reconstruction Act: President Andrew Johnson vetoes the bill, but Congress again overrides the presidential veto. President Johnson is forced to implement Congressional reconstruction, but the Johnson administration reads between the lines as much as possible and interpret the requirements as tightly as possible. The Reconstruction Act inflamed the situation between Congress and Johnson and led to the Impeachment of Andrew Johnson in which he was narrowly acquitted by just one vote.